I’ve been to well over 100 waterfalls in Pennsylvania, but I’ve come across very few that combine the unique history, beauty, and accessibility of Big Run Falls in Lawrence County, Pennsylvania (not to be confused with Big Run Falls in Sullivan County, PA). Big Run Falls is located in the center of Cascade Park on the outskirts of downtown New Castle. Cascade Park is a former amusement park that ran from 1897 until the early 1980s. 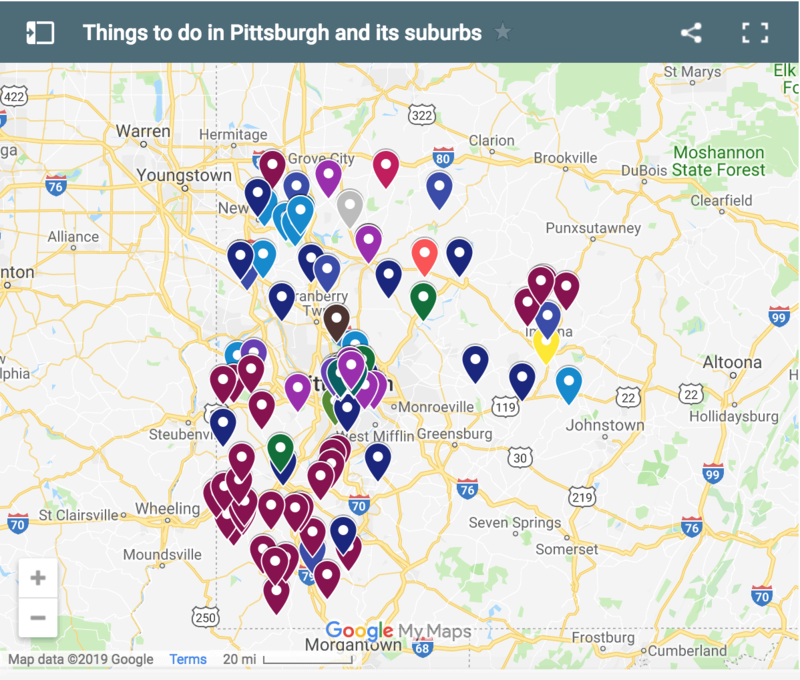 The park was home to rollercoasters, many amusement rides, and what at one time was the largest dance hall in Pennsylvania. 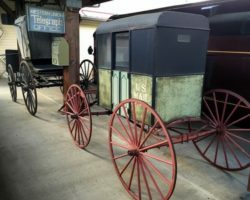 Connected to the city of New Castle by both train and trolley, over 7,000 people a day would visit the park during its heyday. 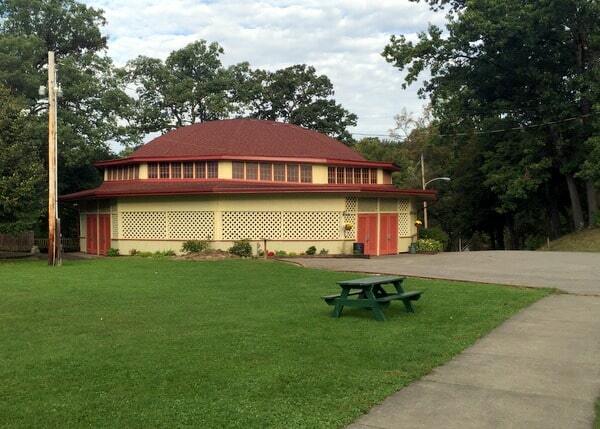 The former carousel building from Cascade Park still stands near Big Run Falls. With attendance declining in the 1970s and the park needing major upkeep, local residents stepped in to try to save parts of the park. Over the course of the seventies and eighties, the park was cleaned up and many of the rides were removed, creating the beautiful park that you can visit today. At the center of this park is Big Run Falls. The 20-25 foot tall waterfall is located along the edge of a very large hollow. 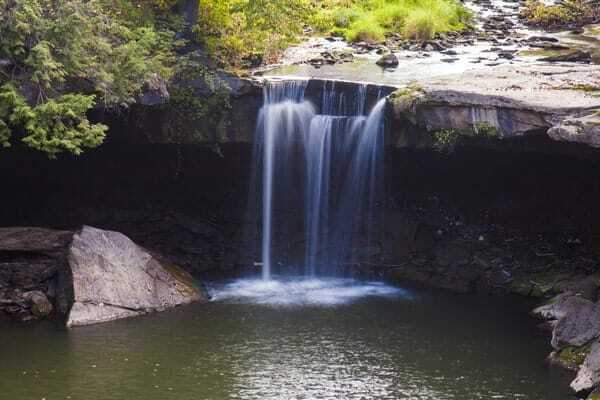 This circular-shaped area makes it difficult to get close to Big Run Falls, but also offers a great vantage point from which to view the waterfall. This viewing area is located adjacent to the roadway through the park and close to a parking area, making this a very easy waterfall to visit. Big Run Falls in New Castle’s Cascade Park. If you want a closer look at the waterfall, I’ve heard that you can walk up the creek from the bottom of the hill below the waterfall, but I didn’t have a chance to do that during my visit, so I can’t comment on the ease of the route. While the waterfall is very cool and definitely worth seeing, don’t leave the park without taking a few minutes to check out the bits and pieces that are left from the amusement park. 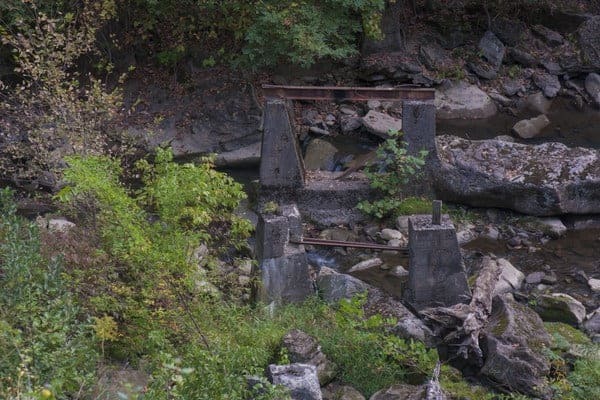 Just downstream of the waterfall, you can see supports that used to be part of The Comet, a rollercoaster that was built in 1955 and used to dive into the valley near the waterfall. Also in the park are the remains of several buildings that used to house amusement park rides and concession stands. Even the original dance hall is still standing within the park. Supports once used for a rollercoaster can still be seen near Big Run Falls. To give visitors an idea of what the park used to be like, there are historical signposts scattered throughout Cascade Park. These signs tell the story of the park and show historical photos so that visitors can get a better feel for what the park looked like during its heyday. 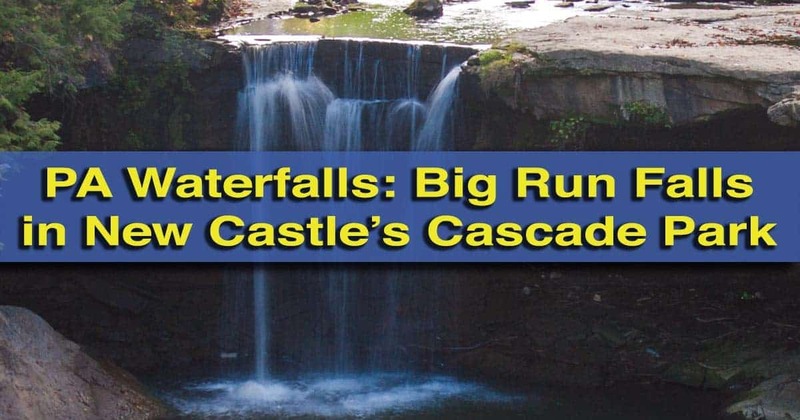 This unique combination of history, beauty, and accessibility makes Big Run Falls and Cascade Park a must-visit destination for any history or nature lover visiting the New Castle area. Big Run Falls during a snowstorm. 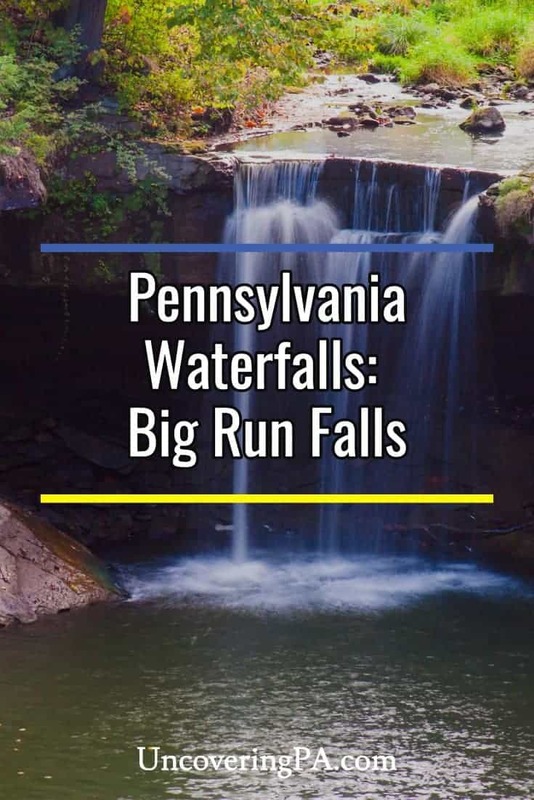 Big Run Falls is located within Cascade Park in the southeastern corner of New Castle, Pennsylvania. 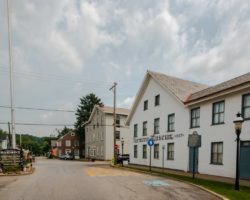 The park is located along Route 65, just a mile off of the main route between New Castle and McConnells Mill State Park. 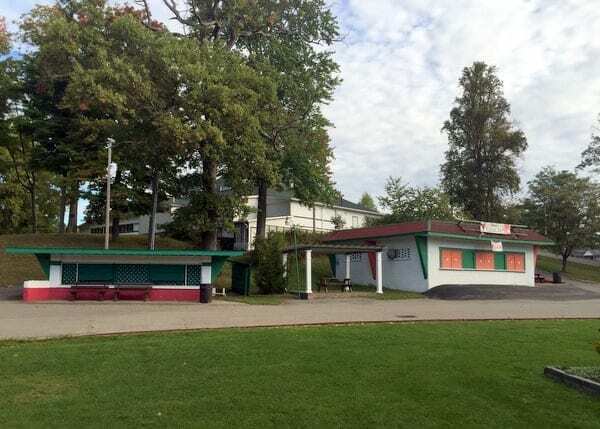 Concession stands and the dance hall still stand from the days of Cascade Park. 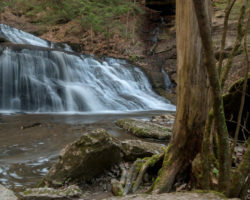 While it’s worth spending time exploring the park, the parking area for Big Run Falls can be found at the following coordinates: 40.976503, -80.320562. From here, simply cross the road to the waterfall viewing area. 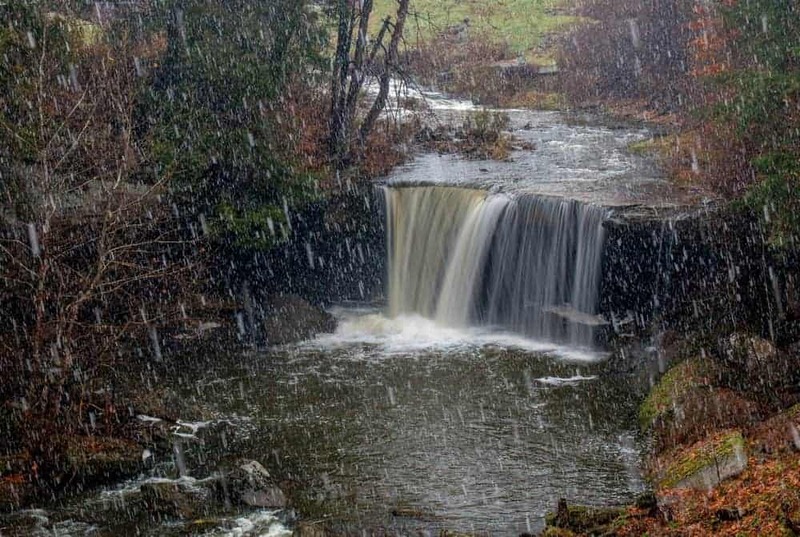 If you’re looking for other waterfalls in the area, check out the falls in McConnells Mill State Park including Breakneck Falls and Hell’s Hollow Falls. 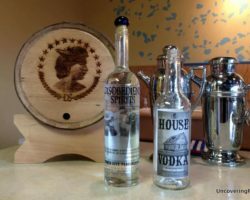 Other spots worth checking out in the area including the Lawrence County Historical Society Museum and the county’s covered bridges. Thanks, for all the time you put in to this Newsletter…! !